The traditional house of Timor. when I was in this forest, I seemed to be a little dwarf among the giant trees. 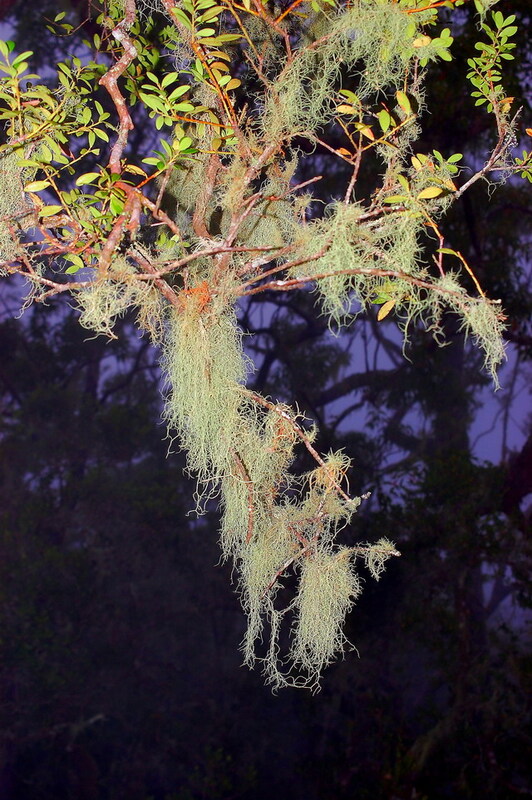 Trees with hundreds of years old whose skins have been covered with lichenes and usnea hanging from a beard. Water droplets from fog condensation like rain. I imagine there is a small elf and then come Peter pan and his friends, then fly. 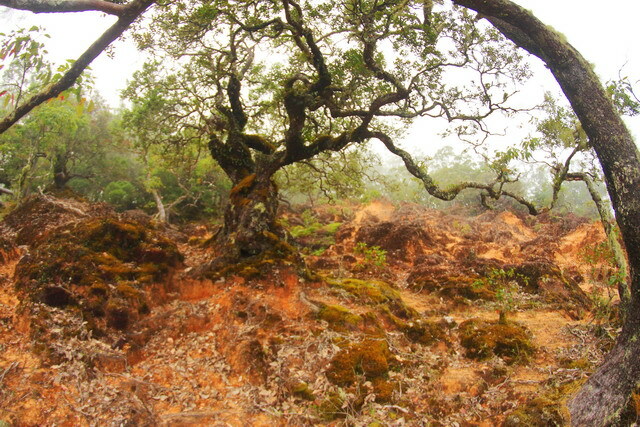 This is not a fantasy land, but only a bonsai forest on the slopes of Mutis-Nusa Tenggara Timur. 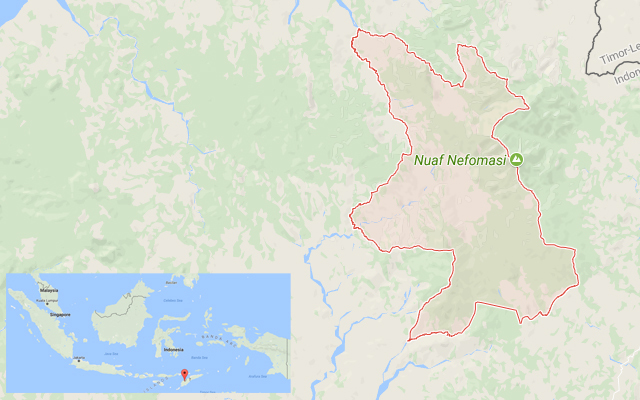 Map fo Fatumnasi at eas Nusa Tenggara. The purpose of my journey is to go to the village of Fatumnasi. Village located on the southern slopes of Mount Mutis. Mount Mutis is the highest mountain on Timor Island with an altitude of 2327 m above sea level. 2.5 hours passed, I finally arrived at Fatumnasi. Fatumnasi located at an altitude of more than 1,500 m above sea level, cool air, even quite cold. I could not resist the urge to enter a thick forest full of large, but short, timber. Many call this forest on the slopes of Mutis with bonsai forests because of the size of the wood. There is also a mention with the forest Ampupu, because many trees are found ampupu or Eucalyptus urophylla. Ampupu is a plant of the Myrtaceae family and is widely present on Timor Island. The name urophylla has the meaning of long-tailed leaves (auro = tail and phylla = leaf). Ampupu grows well at the altitude of 500-3000 m above sea level, Average temperature 8-29 degrees Celsius, Rainfall 100-500 mm. Yhe interesting fact, ampupu is a native species of Indonesia, especially NTT. 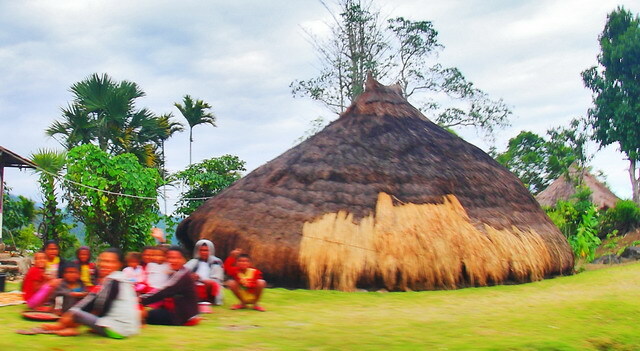 Ampupu is used by the people of Timor as the building material, firewood, and charcoal. Ampupu that enter in the genus Eucalyptus similar to eucalyptus oil tree. This plant produces oil asiri. The main components in ampupu leaves are paecymene (76%), alpha-pinene (7%) and terpene gamma (4%). Essential oils are the source of perfume raw materials, cosmetics, pharmaceuticals, and disinfectants. The thickness of the ampupu tree makes the crust lichens (Lichens) and jenggot resi/local name (Usnea barbata) grow on the trunks and branches. Lichens and Usnea are very susceptible to air contamination, thus becoming an indicator of air quality. The existence of Lichens and Usnea be a indicator if the air in this Bonsai Forest is really still maintained its quality. That said, besides ampupu also the discovery of cendana/sandalwood (Santalum album), but now barely left. Sandalwood is an endemic plant of Timor which is getting less and more available due to exploitation. Cendana/Sandalwood is the reason for Asian and European traders to come to Timor and then dominating it. The forests are witnesses, in Timor not as imagined. 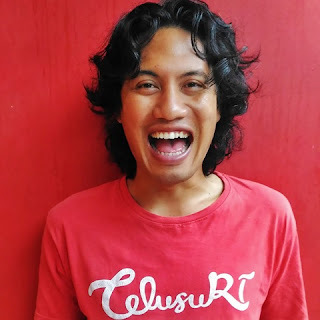 In Timor, there are exotic, natural forests, and store many mysteries of natural wealth. Ampupu forest let it be sustainable.